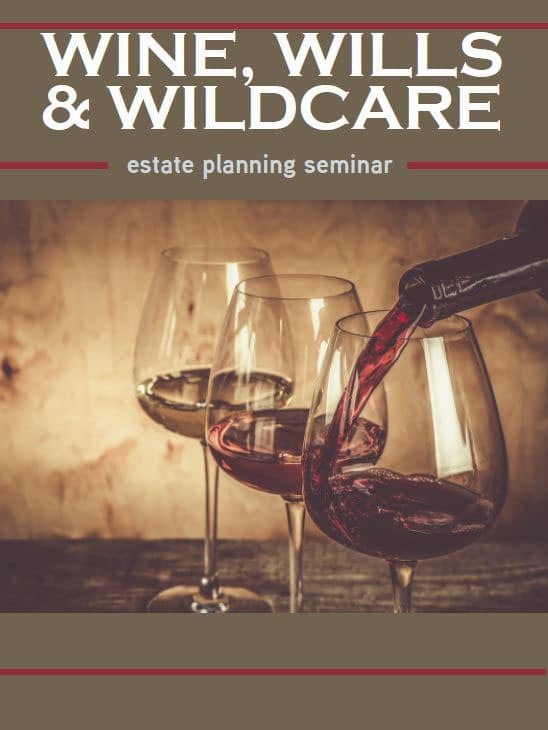 Join WildCare and Northern Trust Bank Senior Vice President and Senior Fiduciary Officer, Denise Riley (click for Denise’s bio) for an entertaining evening of wine, conversation, wildlife and, yes, estate planning! With Denise Riley’s expertise, we’ll discuss how to make your will (for free! ), how to include charitable giving in your will, charitable gift annuities, trusts and more. And, if WildCare is already part of your estate plan, please take the opportunity to let us know! Questions? Contact Lacey Babnik at lacey@discoverwildcare.org or 415-453-1000 x15.